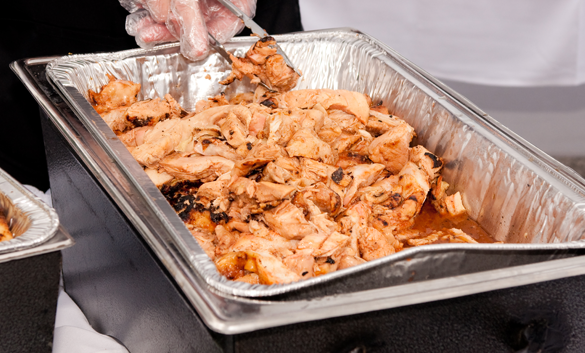 What comes to your mind when you think of school cafeteria lunch lines? If you’re like us, memories of glaring hot lamps shining on greasy pepperoni pizzas or slices of rubbery meatloaf come to mind. 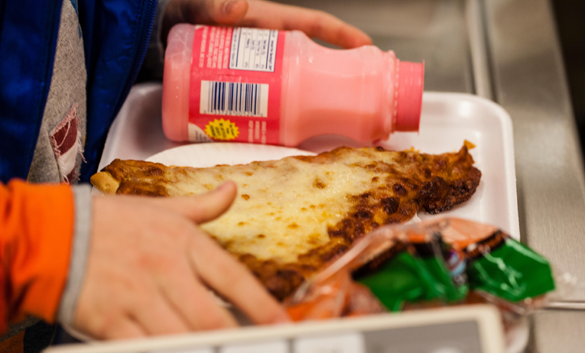 Every year in the U.S., 30 million kids are served 5 billion lunches. 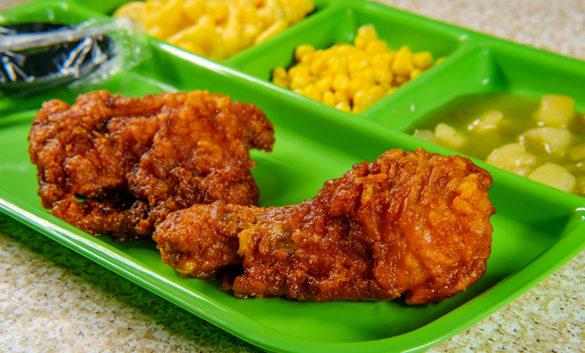 Unfortunately, America’s National School Lunch Program (NSLP) makes it challenging for Food Service Directors to fill menus with anything but highly-processed meat and dairy-heavy meals due to archaic USDA policies, limited budgets, equipment and staff. Across the country, 3 in 5 school kids participate in the NSLP. To paint a picture of how this impacts kids, the government supports the NSLP by reimbursing schools for the meals they serve, and for buying USDA raw commodity foods — accounting for about 20% of food served. 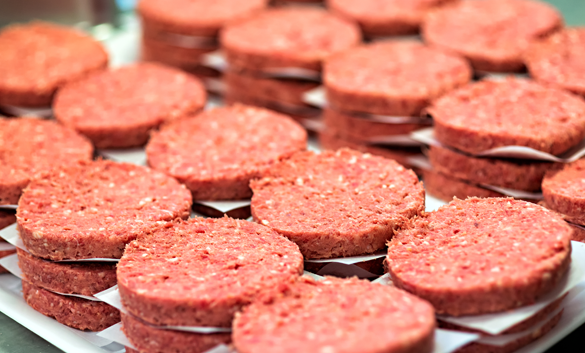 The program heavily subsidizes conventional milk, meat and cheese products — and encourages the purchase of highly processed, unhealthy meat products. Therein lies both the problem, and the opportunity, for schools, passionate parents, students and administrators to make an impact on the health of their school community by influencing school districts to serve delicious, plant-based, climate-friendly foods. There are success stories of school districts that have put serving more plant-based foods to the test, reaping benefits along the way. For example, Oakland Unified School District reduced its meat and dairy purchases, saving water, cutting back on greenhouse gas emissions and saving money. We can make a difference too and that’s where you come in. 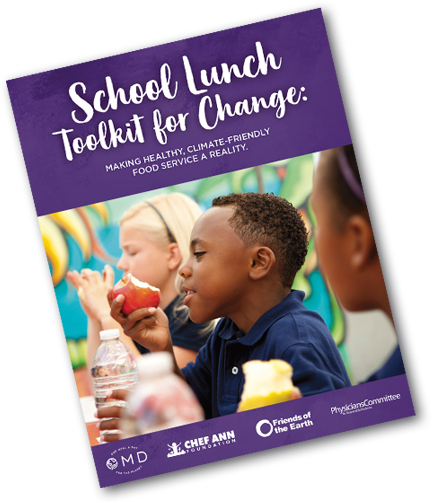 Our School Lunch Toolkit offers template letters to your local Food Service Directors and School District Board, research and other materials to support you to advocate for better, plant-based food and non-dairy milk options. Whether you’re a community member, parent or student, OMD is here to guide you every step of the way. 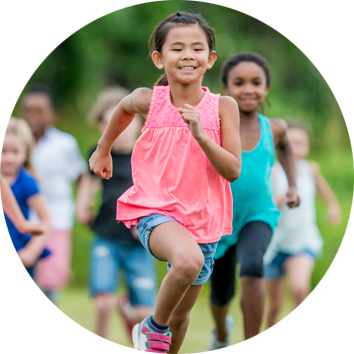 Health: Bright, healthy kids need the right fuel! 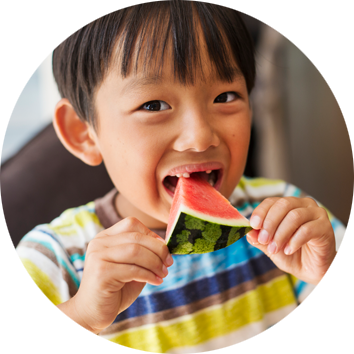 Did you know studies show that children who eat plant-based foods grow as tall or taller than their meat-eating peers? We can boost children’s intake of vegetables, grains, fruits, legumes, and nuts by guiding them to eat at least one plant-based meal a day. Plus, kids who eat plant-forward diets are more protected from health risks like obesity, diabetes, hypertension, and heart disease later in life. Environment: Animal agriculture is the #2 contributor to greenhouse gas emissions (more than all transportation combined) and the largest contributor to deforestation, water usage and pollution, and dead zones in the ocean. Also, land used for raising livestock and to grow livestock feed is the leading cause of mass extinction today as wildlife lose vital habitat to pastures and farms. 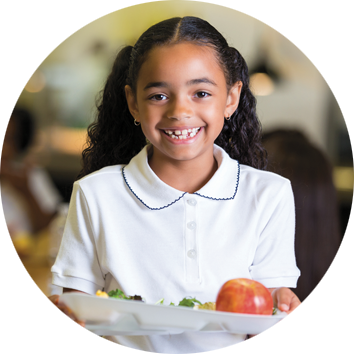 OMD seeks to increase access to healthier, climate-friendly foods in K-12 schools with the help of people like you. Together with our partners at Physicians Committee for Responsible Medicine, Friends of the Earth and Chef Ann Foundation, you can join the movement to create change.